$39.95 In stock - low quantity. Order in the next 18 hours, 9 minutes and it will go out today! Here's a new twist on an old classic. 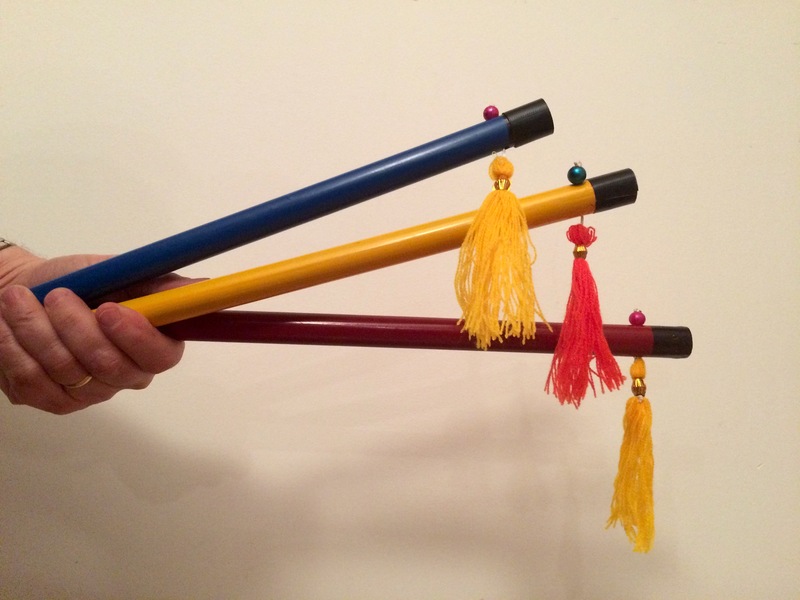 Color Sticks adds three delightful elements to the classic Chinese Sticks to make it perfect for a library, school or for that matter any kids show. First of all there’s a third stick. Secondly, they’re all different colors. Thirdly (and this is the best part), creator Jim Jayes has created a patter based on the work of Dr. Seuss, a children’s literature author who is beloved by kids and their parents worldwide. Watch the video to see me demonstrate the trick as I recite a portion of the script, some of which I rewrote to fit my delivery style. You’ll see how much fun this can be for you when you entertain the young and young-at-heart. These are large wooden sticks! Each one measures 17 inches long. Along with the script and instructions, you’ll get three hand-painted sticks in red, yellow and blue. The rhyming patter can easily tie into your library show, but the routine is just plain fun for children and their families to enjoy. If you’re looking for a routine to highlight your verbal as well as your magic skills – a trick that the children can enjoy as an audience without participating, then consider revisiting the old classic which has been transformed to appeal to kids of all ages… Color Sticks. Received with one stick tip broken off and gimmicks hanging. No problem, AmazeKids was right on it. But the workmanship, finishing, painting, etc was garbage. Similar reactions on magic forums (which I did NOT read before ordering.) Great video demo, great premise, baaaaad product.